Founded in 1998, Mariposa takes its name from the Spanish word for “butterfly.” The duo enjoys exploring standard and adventurous Classical repertoire, with occasional guest artists. Mariposa has been featured in recital on the Artspree series at UA Little Rock and at numerous colleges and universities in Arkansas, and is on the roster for Arkansas Arts on Tour. Sandra is assistant concertmaster of the Arkansas Symphony Orchestra. Additionally, she performs as first violinist of the Da Capo Quartet. Her teaching career includes maintaining an active studio of both traditional and Suzuki violin students at “Adventures in the Arts,” a fine arts academy run as an outreach program by Pulaski Heights Methodist Church in Little Rock. Formerly adjunct professor of violin at Hendrix College, she frequently serves as an adjudicator at area string festivals. A native of Ohio, Ms. McDonald holds the BM degree from Bowling Green State University, and pursued graduate study at the University of Arizona-Tucson and the Aspen Music Festival, where her teachers included Paul Makara, John Ferral, and Shirley Givens. Previously she has performed as a member of the Toledo Symphony Orchestra under conductor Serge Fournier, and with the Aspen Concert Orchestra conducted by Sergiu Comissiona. 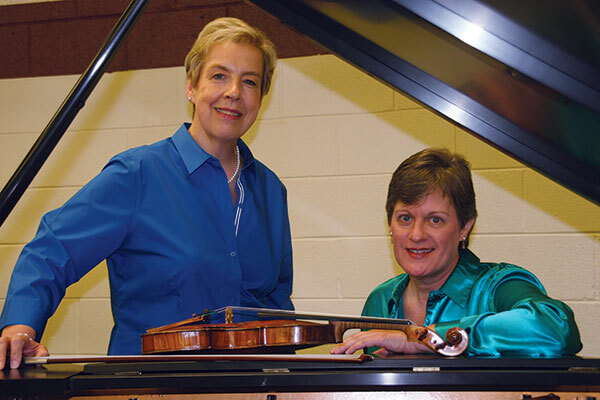 Well-known to audiences throughout Arkansas for her collaborative participation in a wide range of musical events and ensembles, Ms. McDonald formerly served as second violin of the Quapaw Quartet for 11 years. She is an active member of the American String Teachers Association and the Suzuki Association of the Americas. Dr. Holzer is a professor of music at UA Little Rock. A native of Chicago, she holds degrees in piano performance from Northwestern University, the University of North Carolina-Chapel Hill, and Florida State University. Prior to joining the faculty at UALR, Dr. Holzer served as an artist-in-residence for four seasons with the North Carolina Visiting Artist Program. She has been the recipient of numerous awards, including the Corinne Frada Pick Piano Award at Northwestern University, 1st Prize in the Farwell Music Competition of Chicago, an “Emerging Artist” grant from the Raleigh Arts Commission, a UALR Faculty Scholarship Award and 2017 Faculty Excellence in Teaching for the College of Arts, Letters, and Sciences at UA Little Rock. An active soloist and chamber musician, her credits include appearances at the Kennedy Center for the Performing Arts, the Noon Time Concert Series at St. Patrick’s Church in San Francisco, Florida’s Biennial Festival of New Music, New York Public Radio station WNYC-FM, and the New Orleans Center for the Creative Arts. 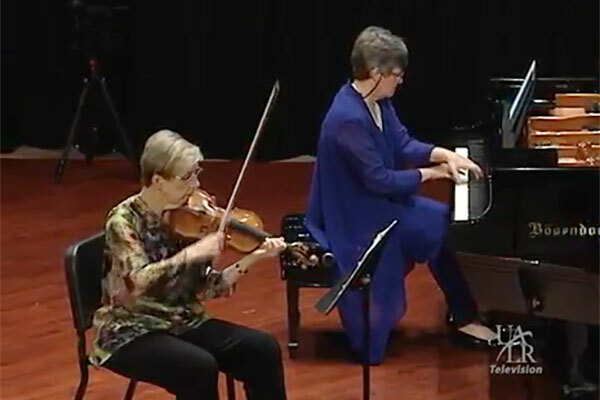 Dr. Holzer was the featured Artist/Educator in an interview on the web site, Piano Education Page, and has appeared as concerto soloist with orchestras in Illinois and North Carolina. She has performed in 30 states, as well as abroad in Europe (Bratislava, Vienna), Australia (Melbourne), and Asia (Hong Kong, and Qingdao, China).